An article from Cryptoslate explain that for taxpayers who have been dealing in cryptocurrencies and who have delinquent state and federal tax filings, or unreported tax years’ transactions going back to 2017 or earlier, it may be necessary to liquidate a fair amount of their cryptocurrency portfolios at a significantly lower value to settle outstanding tax liabilities, including the interest and penalties, to the IRS. 2017 saw the incredible rise of virtual currencies such as Bitcoin, but was followed, in 2018, by a gut-wrenching drop, which burst the bubble of virtual currency valuations. 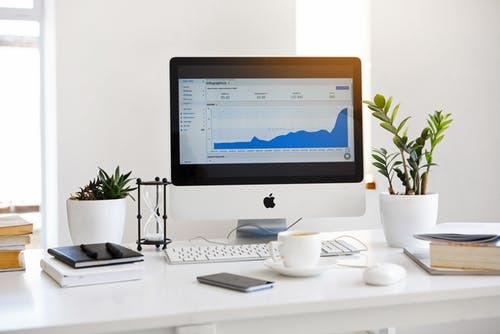 This persistently volatile market tests the mettle of investors and businesses facing the tax planning challenges surrounding the virtual currency investment market. An attorney from the U.S. Department of Justice’s office suggested in May 2018 that the time had possibly come to create new voluntary disclosure procedures, but Daniel Price (from the IRS’s Office of Chief Counsel) had already stated at the tax symposium held by the State Bar of Texas Tax Section held in November 2017, that the stories about the IRS intending to establish a disclosure program that was separate and voluntary for unreported income related to offshore virtual currencies, were simply not true. Expectations were raised by some tax practitioners and taxpayers that the Internal Revenue Service (IRS) would create a separate program for voluntary disclosure to assist taxpayers who had previously failed to report on their taxes due from virtual currency transactions. This has, however, not happened. What remains available to taxpayers is the IRS Voluntary Disclosure Practice, but this does not, in general, guarantee immunity from prosecution for taxpayers, or any penalty relief. Generally, for penalties to be put aside, a taxpayer would be required to show reasonable cause as to why he or she failed to report and / or disclose their taxes due from convertible virtual currency transactions. For these taxpayers there is the distinct possibility of having to face several civil, and even criminal, penalties or charges for crimes, of which tax evasion would be one. Being convicted of tax evasion is likely to result in a prison term of as much as five years, and a fine of up to $250,000. Filing false returns and being convicted for such may result in a maximum three-year prison term and a fine of up to $250,000. Taxpayers need to be aware that many states still offer the voluntary disclosure programs, affording them the opportunity to come clean and settle their back-taxes, so it would be unwise to simply ignore their income tax non-compliance. Since the failed attempt by Representatives David Schweikert and Jared Polis to get Congress to pass the Cryptocurrency Tax Fairness Act in 2017, it is unlikely that Congress will pass any virtual currency tax legislation in the near future. The IRS has come under fire from critics for failure to give adequate guidance to taxpayers with regard to Notice 2014-21 (“Notice”), and the associated perception of lack of enforcement of this notice. The U.S. Congress’ members, professional organizations and even the public have made recommendations to the IRS to resolve this, but these have not been taken into consideration by the IRS it would seem. All this Notice offers in the way of guidance is a total of sixteen questions and answers, and nothing has materialized since. The IRS’ compliance drive has gained momentum since the Notice was issued in 2014. The cryptocurrency company Coinbase received a “John Doe” summons in late 2016, which required the submission of records relating to about 500,000 of its customers. All periodic statements of the account or invoices. A limit of $20,000 per transaction type (send, receive, buy or sell) was placed by the Court on the information sought from the accounts in any single year in the period 2013 to 2015. The 2018 tax filing deadlines were preceded by the IRS issuing information in Release 2018-71 that reminded taxpayers to report on income from virtual currency transactions in their income tax returns. Cryptocurrency is classified as property for U.S. federal tax purposes, making it consistent with the contents of Notice 2014-21. By July 2018, the Large Business and International (LB&I) Division of the IRS announced new compliance campaigns, totalling 5, and these included campaigns related to virtual currencies. In the third quarter of 2018 five lawmakers stated their intention to request an audit of the agency from the Government Accountability Office to examine why the IRS failed to “.. put forth adequate guidance” for taxpayers. The Chairman of the House of Ways and Means Committee was among them. The Information Reporting Program Advisory Committee (IRPAC) issued a report to the public in October 2018, providing a number of specific recommendations along with expressing concerns regarding issues related to tax reporting and compliance. 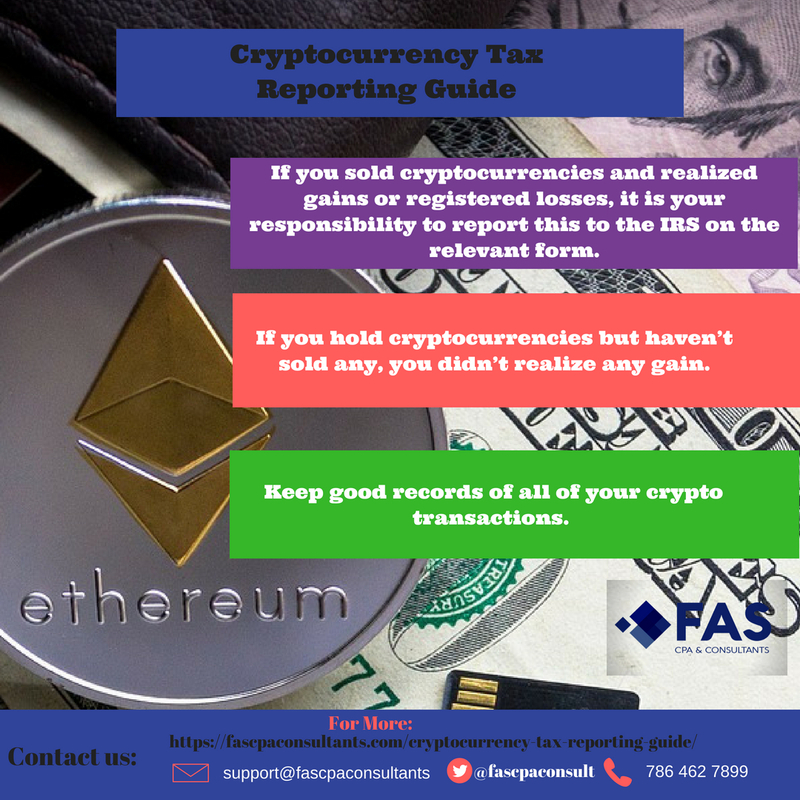 The IRPAC is a collaboration between tax professionals and the IRS and this forum has set its intention to help develop information reporting and withholding guidance for virtual currency transactions. The recommendations of this report followed two years after the release of the Treasury Inspector General (IG) for Tax Administration Report. The report, made available in September 2016, levelled criticism at the IRS for the lack of strategy, guidance and reporting. This included their failure to display management oversight or adequate controls. In spite of the IRS’ agreement of the report’s contents, they made no specific recommendations to their Office of Chief Counsel. On assessment of available public records, it would seem that no official coordinated plan has been formulated with the Department of the Treasury’s Office of Tax Policy since the report was issued. It would be fair to criticize the IRS for not taking action in response to the public inquiry and the resultant recommendations around seeking clarity on the multitude of unresolved convertible virtual currency tax issues. The criticism from the public needs to be balanced with a strong dose of reality, however. A report issued in April 2016, by the Center on Budget and Policy Priority, declared that the IRS budget had been reduced by 17 percent over the period from 2010, adjusted for inflation. This reduction in funding had never been seen before. This drop in funding meant the IRS operations were affected significantly, forcing job cuts at the agency, cutting back on training for employees, and holding back on the implementation of sorely needed information technology. A 9% increase in 2017 made a significant impact, the IRS funding would still be below the 2010 levels once adjustments for inflation were made. The Tax Cuts and Jobs Act, signed into law by the President on December 22 2017, has been a pressure point for the IRS, who are responsible for its implementation. The implementation has to take priority and the IRS will need to reconsider the allocation of resources to zoom in on the implementation. There is a concerted effort by tax professionals and several organizations, such as the American Institute of Certified Public Accountants and the American Bar Association, to get clarity on the many cryptocurrency tax issues. The dialogue is open between these organizations and the IRS, members of Congress and the Treasury. Over the past few years the number of tax attorneys and CPAs specializing in digital assets and virtual currency transactions, accounting issues and tax, have grown. This makes it easier for taxpayers who have fallen short of the required reporting of virtual currency transactions when filing their income taxes, to get suitable assistance. Professional advice on these matters is no longer in short supply. If you would like benefit from our expertise in these areas, or if you have further questions on this advisory, don’t estimate to contact our specialists or call us 786 462 7899.